Please enter the details you were sent in your letter. 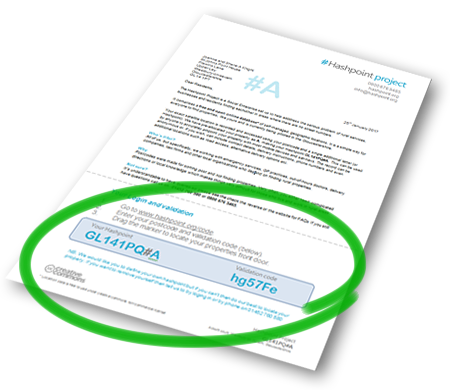 This is for use if you have received a letter from hashpoint with a validation code. This confirms your residency and will allow emergency services to use the information you receive.